I have tried surfing, which required a little bit too much of my muscles for what I was ready to give. Yes, I had a blast trying over and over. That brought me back into childhood, and if I was living closer to an area with waves, I would of continue weeks after weeks. Started, once more, to do some underwater photography and videography. I have actually wrote a different blog about this experience a few months ago. 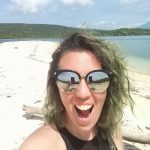 I finally realized a dream by doing an introduction to freediving in Pemuteran, with an incredible instructor. It have ended up to be way more addictive that I had imagine. As the first time I experience breathing underwater, I was a little anxious at the idea of doing the total opposite and doing some breath hold. First challenge was to do it statically; apparently at my first trial, I succeeded to do close to 1 minute 50. The goal being to fight your body wanting to exhale the CO2 inside of you. Step 2 : trying out descent technique in the open water. Yoshua, our free diving instructor was quite patient and showed us a few techniques to suits each one of us and our difficulties encounter. Head first, feet first, using the rope, no rope, finning, not finning, etc. Well guest what? I have succeeded to get to 9.3 meters and was quite proud of myself. I have succeeded to get to that depth after multiple trial where I couldn’t stop the small voice in my brain telling me to comeback to exhale and breathe again. It was a real challenge. 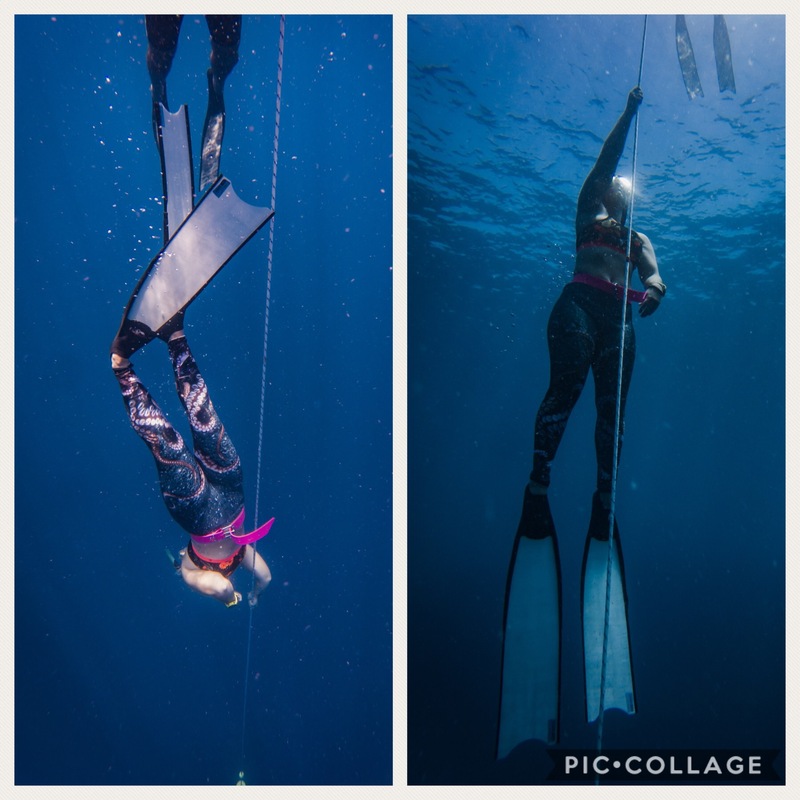 I think freediving brings in us a feeling of control and non-control which is interesting to learn more about yourself. There is no better way to be in the moment than this sport. Concentrating on your breath hold, concentrating on your position, concentrating on what message your body is trying to tell you, is what I have found the most addictive. I am personally someone who is easily anxious, easily distracted with many projects. I could even add, that sometimes I am afraid of the abyss and not seeing the bottom of the ocean. Once again, I have challenged myself to become ONE with the greatest of the elements. I am hooked. Not hooked of going deeper, not hooked to stay that much longer, but hooked on the feeling it provides to be fully in control of yourself, underwater and being at peace. Excited to buy those long fins to practice some more. I like to dream and think about it as a session of underwater yoga or underwater therapy. It has simply become my new favorite peaceful place on earth where I have learned a lot about myself. Here is a short video that inspired us to get into freediving. If you are interested to do just like us, contact us for more information into getting your certification PADI Freediver in Pemuteran. Beach Clean Up – Bye Bye Plastic in Bali and everywhere.